The Week Ahead…and a Look Back at Last Week’s ANC Meetings in Photos. ANC6D met last Monday. A DC Housing Authority rep briefed the Commission and residents on progress on redevelopment of the Arthur Capper and Greenleaf mixed use developments and got hammered with questions regarding lack of outreach, possible displacement of residents, and current poor living conditions in DC Housing Authority public housing. 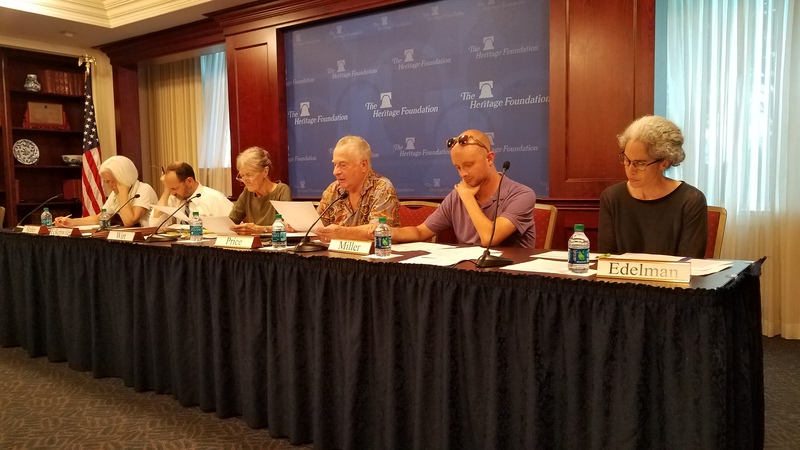 On Tuesday, ANC6B voted to send a letter to city officials asking for a review of the historic district designation process. ANC6C met Wednesday. It was Commissioner Chris Miller’s last meeting (second from right), since he is relocating. 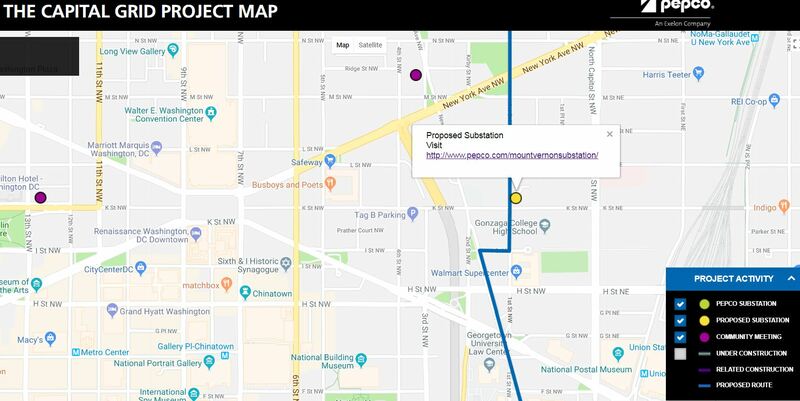 And residents challenged Pepco (see below) over possible dangers of electromagnetic fields associated with the construction of a new Pepco Mt Vernon substation at New Jersey and K Streets, NW. 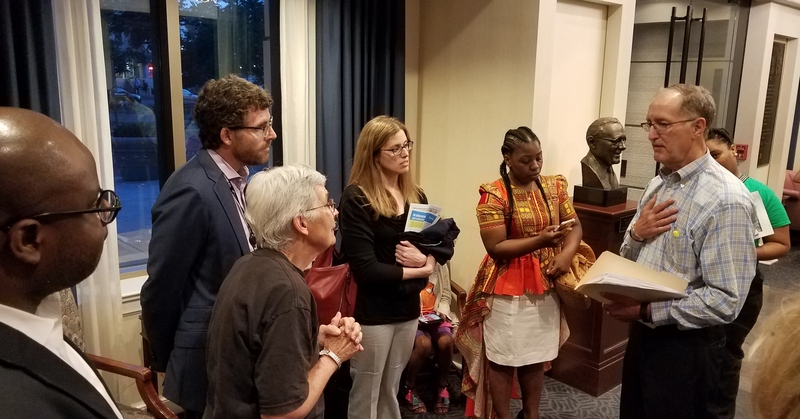 Concerned residents engage Dr. William Bailey (at left), whose company was hired by Pepco to reassure the public regarding the safety of the Pepco upgrades. Most of those to the left in the photo are Pepco reps. This isn’t Bailey’s first rodeo. Here’s a map showing where the Mt. Vernon Substation will go. On Thursday, ANC6A heard a presentation on Eliot-Hine Middle School Modernization from Oni Hinton and Meg Davis, DCPS (see illustration below), and then heard from ABRA’s Sara Fashbaugh (pictured standing) who urged residents to call ABRA’s inspections office at 202 329 6347 for any issues regarding establishments serving alcohol. 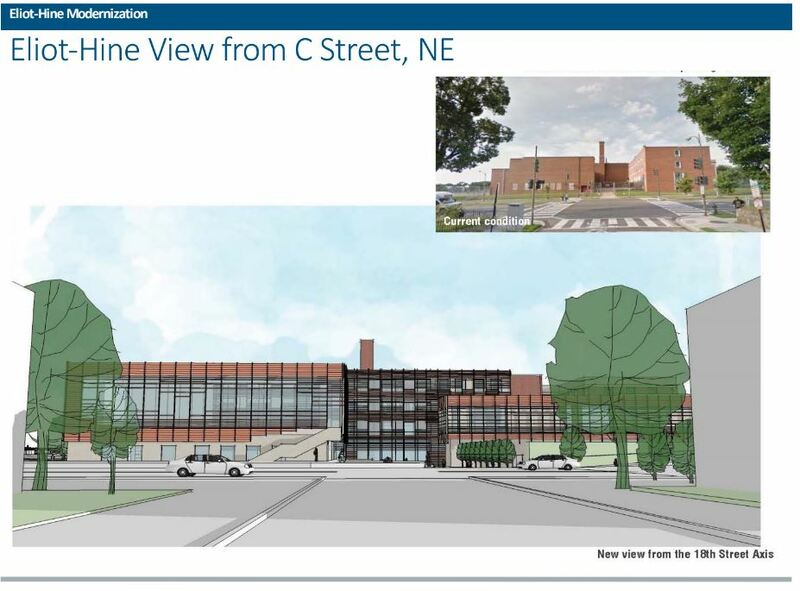 Here’s what Eliot Hine will look like at 1830 Constitution Avenue, NW. Construction starts summer 2018. Completion date: summer 2020. The Week Ahead….It’s a slow week. ANCs are already looking toward the August recess. Meetings resume in September. ANC6A Transportation & Public Space Committee Will NOT meet in July. Next meeting: 3rd Monday, August 20, 7:00pm, Capitol Hill Towers, 900 G Street, NE. 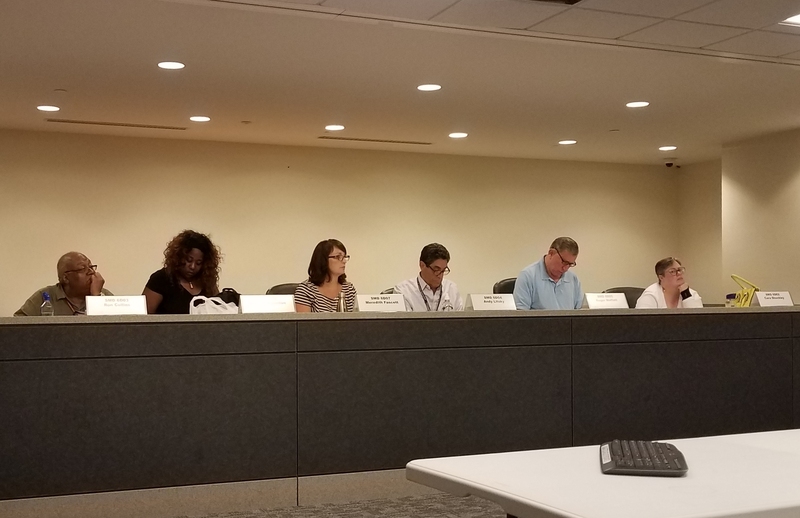 ANC6A Alcohol Beverage Licensing Committee will NOT meet in July. The next meeting is scheduled for August 21, 2018 at 7pm. The Capitol Hill Restoration Society Board of Directors meets at 6:30pm, Capitol Hill Townhomes, 750 6th Street, SE. Sector 2 (PSAs 104, 107, 108) Community Meeting, 7:00pm, J.O.Wilson Elementary School, 660 K Street, NE. Comments Off on The Week Ahead…and a Look Back at Last Week’s ANC Meetings in Photos.